The loaded .45-caliber Smith & Wesson gun was reported stolen from Taylor, Michigan. State troopers arrested a Michigan man Saturday night on charges of drunken driving and possession of a stolen gun, authorities said. 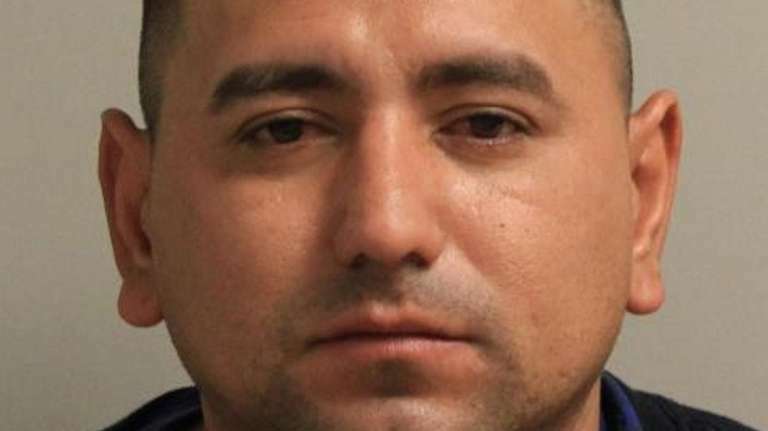 Angel M. Zelaya, 35, of Ypsilanti, Michigan, was driving a black Pontiac G6 north on the Meadowbrook State Parkway near Exit M3 around 8 p.m., when troopers pulled him over for speeding, authorities said. An investigation determined Zelaya was speeding and driving while intoxicated, troopers said. It also revealed that he was in possession of a loaded .45-caliber Smith & Wesson, which was reported stolen from Taylor, Michigan, troopers said. Zelaya also had a box of ammunition with 90 rounds, they said. Zelaya was charged with driving while intoxicated and second-degree criminal possession of a weapon, a felony. At a court appearance Sunday in First District Court in Hempstead, Zelaya's case was adjourned until Wednesday with bail of $20,000 bond or $10,000 cash; neither was posted, according to court records.